Karan Patel started his career with Kahani Ghar Ghar ki in 2000. Karan is on a fitness spree. Karan is being trained by celeb fitness trainer Rakesh Pawar. @alygoni where do you find these pics from ... 🙈🙈 but thanks to you and @rocky_bodytransformer i can now afford to forget wearing a t-shirt at times ...!! Lol ...!! 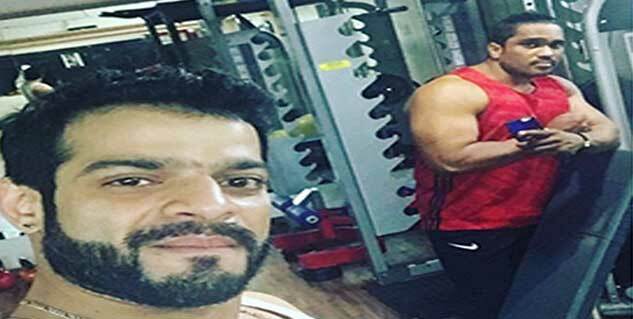 Ye Hai Mohabbatein star, Karan Patel looks totally ripped in his latest Insta pictures. His latest fitness junkets make all the women drool while men only can get jealous. Karan seems to be on a mission to transform his body and is killing it with his bulked-up physique. Karan has been posting pictures of his workouts, his progress from once lean body to now a brawny frame with veiny arms and biceps. He recently posted a photo with his trainer Rakesh Pawar, who has helped many celebrities to transform their bodies. Pawar is best known for training both silver screen and television celebrities like Sidharth Malhotra, Karan Kundra, Aly Goni, Sushant Singh Rajput and many more. Started his career with Kahani Ghar Ghar ki in 2000, Karan Patel has come a long way, in all terms. Be it acting or his physique, Karan is in full swing, giving his fans another reasons to go gaga over him. Karan's Way to go, Karan! For more, go to Celebrity Fitness.